Sister Lillian M. Repak is a Teacher and the Vice Principal at St. John the Evangelist Parish School. In taking on dual roles at the Catholic K–8 school, which is located in the Glen Park neighborhood of San Francisco, Sister Repak strives for excellence in her endeavors to shine like the bright stars that she believes that they truly are. 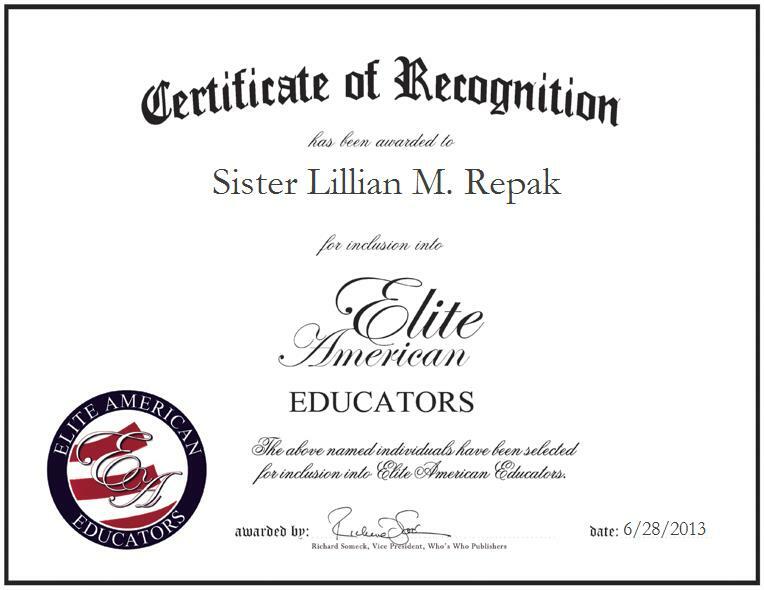 Sister Repak teaches junior high level social studies, religion, speech and leadership, develops and oversees curriculum, and assists in all school operations. She became involved in her profession because she was inspired by her own teachers; she wanted to help students and make a difference in the world.